We have gone through few Android applications which are work around for connecting your Android phone to available Wi Fi network. The Wi Fi Scanning application is an analyzing tool which provides details on Signal strength and other Wi Fi parameters and Fix My Wi Fi fixes your Wi Fi issues. Here comes the Wi Fi Buddy Android application which is an easy yet functional for connecting/scanning through your Wi Fi network. As we go through this application it’s just the work around with few things and remaining is just linked up with the stock Android options. But this application is wit the automatic scanning for the access point and direct connection to open networks are its strength. 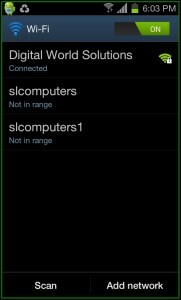 Unlike your Stock Android which requires you to manually go through the available Wi Fi connections, this application automatically connects you to the available open networks and when you have more than one available open networks connection, it automatically connects to the best with higher speed and reception strength is good. As soon as you install this application and run it on your mobile phone, you will be presented with the home screen containing many things. 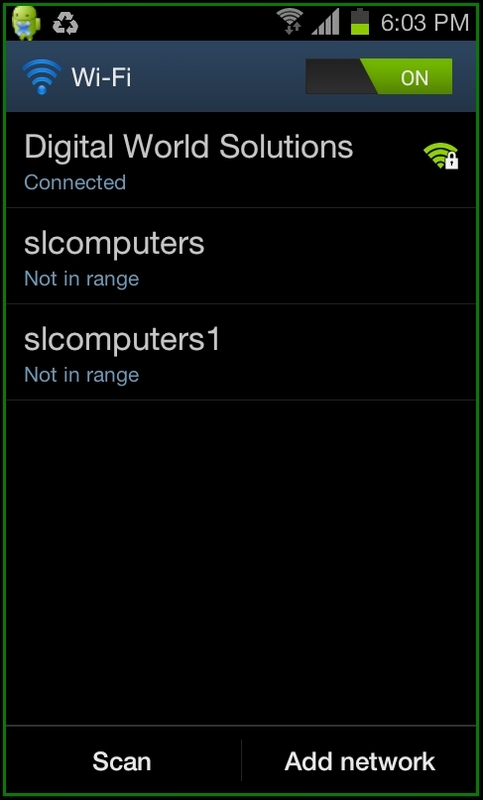 This interface shows the Available networks and the previously connected networks grouped differently. There are two options of Scan Now and Preferences. As we know Scan Now will scan for the available Wi Fi networks and the preferences will go through the various Wi Fi settings like Wi Fi sleep policy, automatic scanning, VPN Settings and Advanced settings. 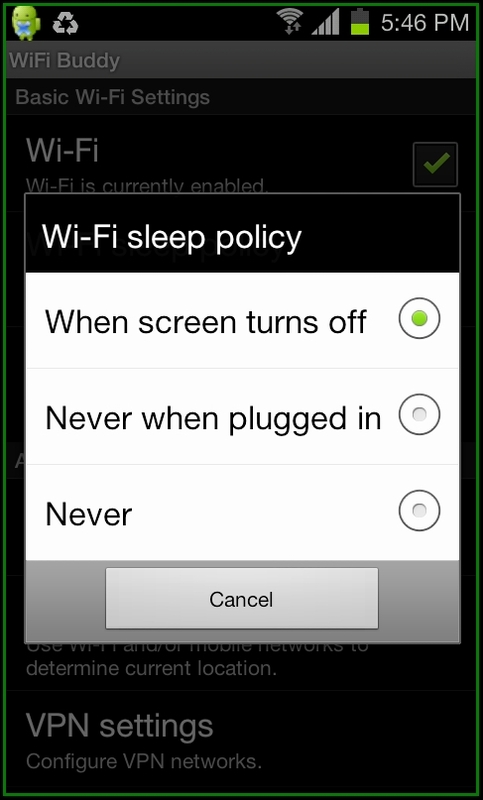 Wi Fi Sleep Policy is to disconnect your Wi Fi connection when your screen turns off or never when plugged in or never. 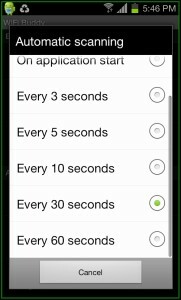 The users have control on how they want their phone to control with the automatic scanning for every 3 seconds, 5 seconds or 60 seconds. 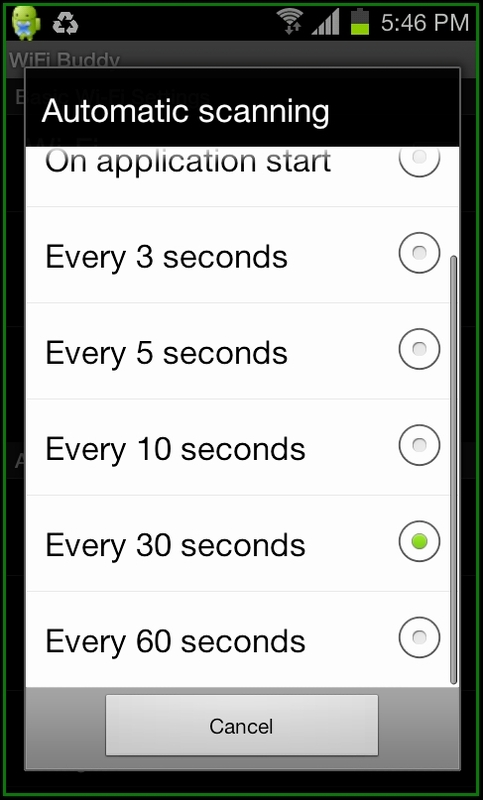 You can also set automatic scanning when the application starts. More options of advanced settings, Wi Fi networks, VPN Settings and Wireless location will take down to the stock Android settings and nothing more than that. WiFi Buddy Beta application can be easily downloaded from Android Apps Labs for free. 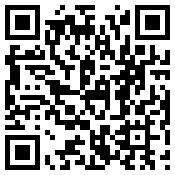 To download it directly on to your mobile phone, you need to visit the Android Apps Labs page listing of this application from your phone’s browser and then click on Install to automatically install this app. 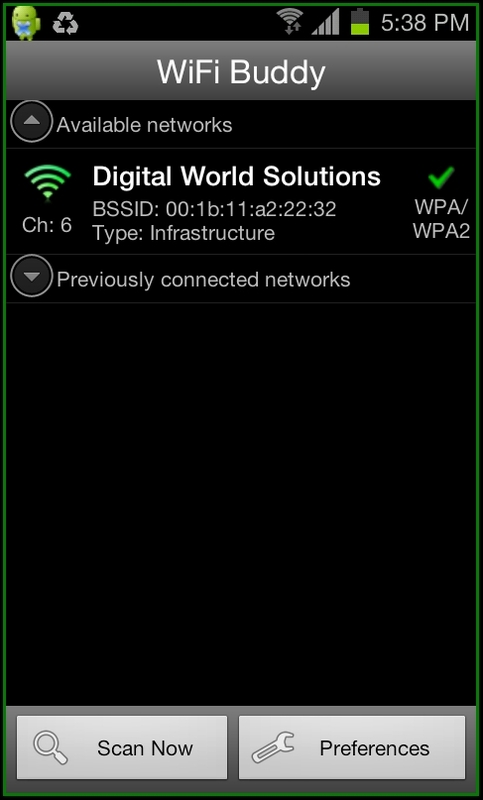 WiFi Buddy Beta is with just one function of automatically connect to available Wi Fi network and that ends the application features. Wouldn’t advise users to go with this application most of the options are linked to your stock Android settings.